Design interventions oriented to sustainably revitalize one of the largest informal settlements in Sub-Saharan Africa. 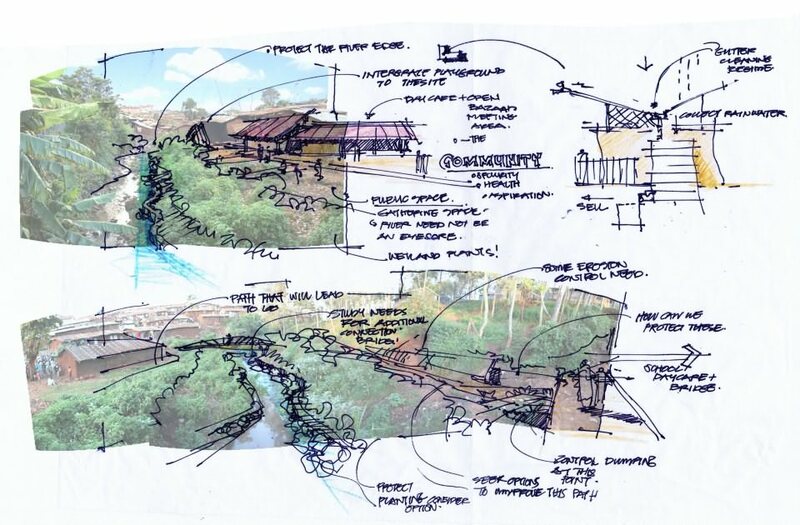 The group of Harvard School of Design students partnered with residents, local design students, private sector experts and government officials to build a flood control system, a bridge to open a circulation route and a shade pavilion to accommodate more than 200 residents and their income-generating activities. Each enterprise contributes a percentage of their profits to site maintenance. Reinforce sustainability: social, economical and environmental. Productive public space, and income-generating activities. Several community-based groups have been created, and construction is ongoing. 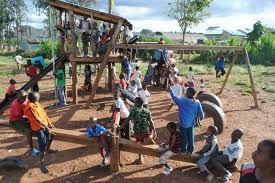 Kounkuey Design Initiative, Inhabitants of Kibera, Buro Happold, Knyan Architecture Firm, volunteers.